From the impressive splendor of the Marina Bay towers and the Gardens by the Bay to the picturesque skyline of Singapore’s central business district it’s easy to see why this business hub has become a beacon for innovation and technological advancement in South East Asia. Singapore is best known for being a bustling metropolis full of banks and business, a career-boosting city that few others can compare to and a gateway into South East Asia. But besides It’s importance to the business world and it’s top notch universities, Singapore also has a lot to offer in terms of art, architecture and culture. Very few cities or countries even come close to achieving as rich of a cultural and ethnic diversity as Singapore’s. The quickest and probably most synesthetic way to experience this is taking a stroll through one of the many hawker centers and indulging in the different dishes being served at the stalls. The smells and sights are overwhelming – in the most delicious way possible. Singapore’s attention to city planning and aesthetics is almost always apparent. Whether walking through the Gardens by the bay, Clark Quay, Orchard Road or along the waterfront enjoying the views of the skyline, it’s hard to find many things that are truly out of place. While the craftsmanship might not always be on par with highest german standards, there remains an air of well planned design to almost everything. Cliché tourist picture or not, the view across the bay is indeed stunning. Comprised of the Helix bridge, the Marina Bay Hotel and Shoppes, the ArtScience Museum and the central business district’s skyscrapers, it is a testament to this countries thriving success and wealth. However, Like every other nation, Singapore too doesn’t only house the rich and successful. 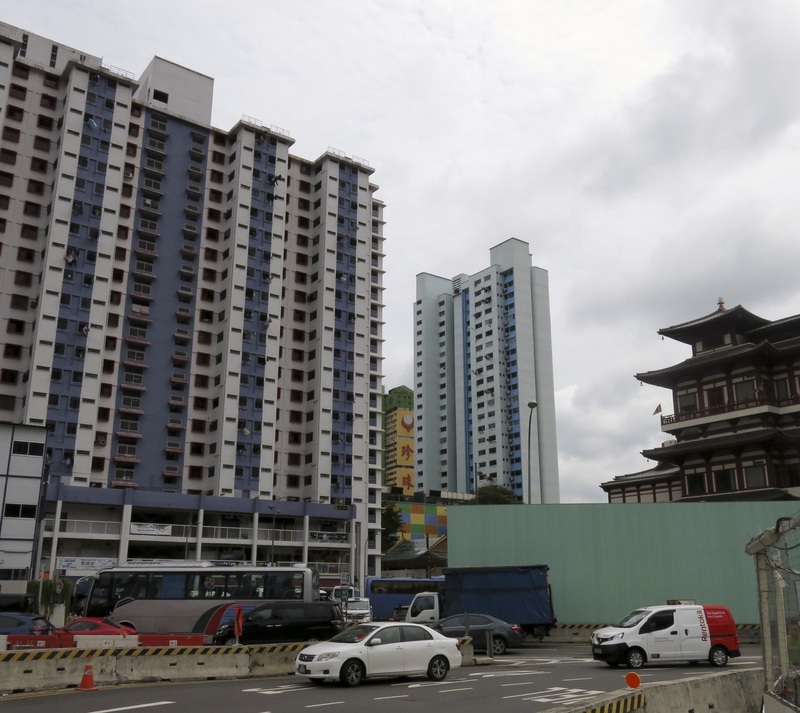 This becomes all too apparent in the striking contrast between the wealthy, quaint single family homes of the east coast and the high-rise public living complexes near China Town. The city doesn’t hide this fact, but instead overwhelms you with the staggering beauty of everything else. Singapore in some areas feels like the most beautiful, artificial paradise on earth and that seems very intentional. 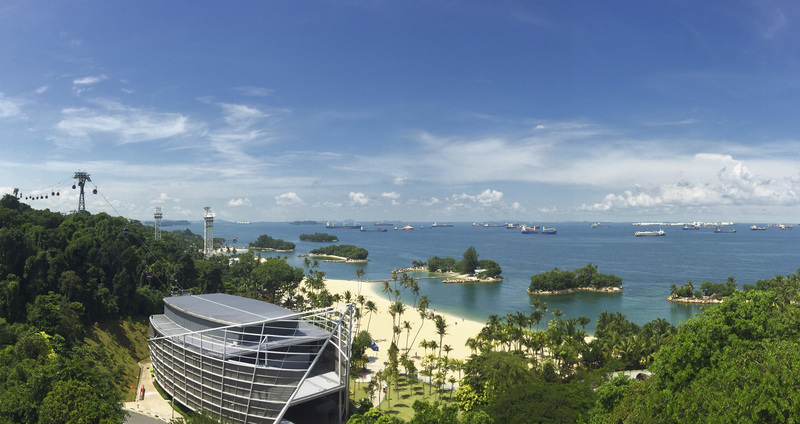 Sentosa’s man-made beaches and the Gardens by the Bay are practically the embodiment of this mindset – nature made by man. 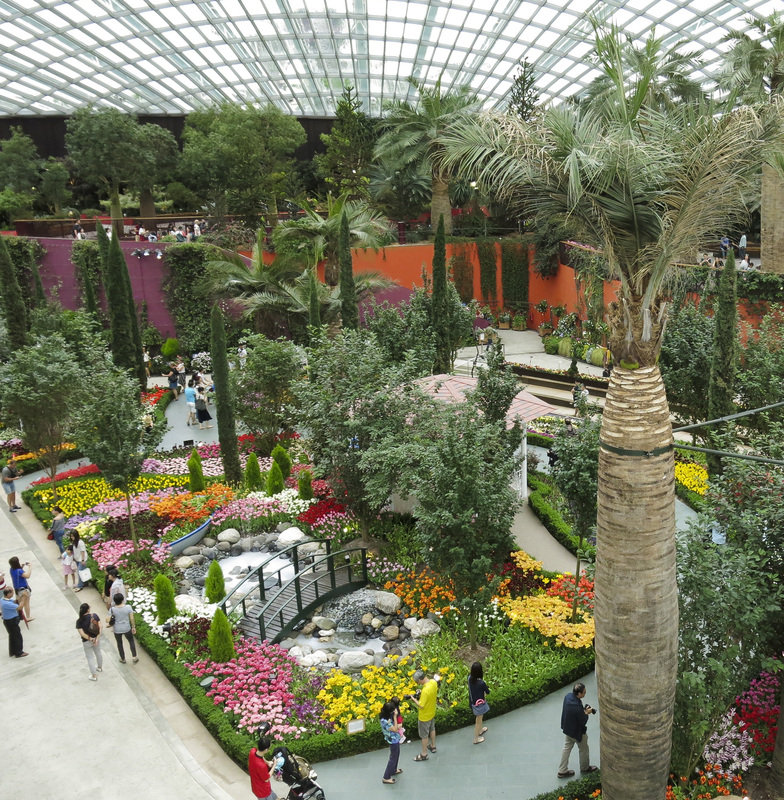 Of course, there is much more to see in Singapore and much more culture to be discovered. 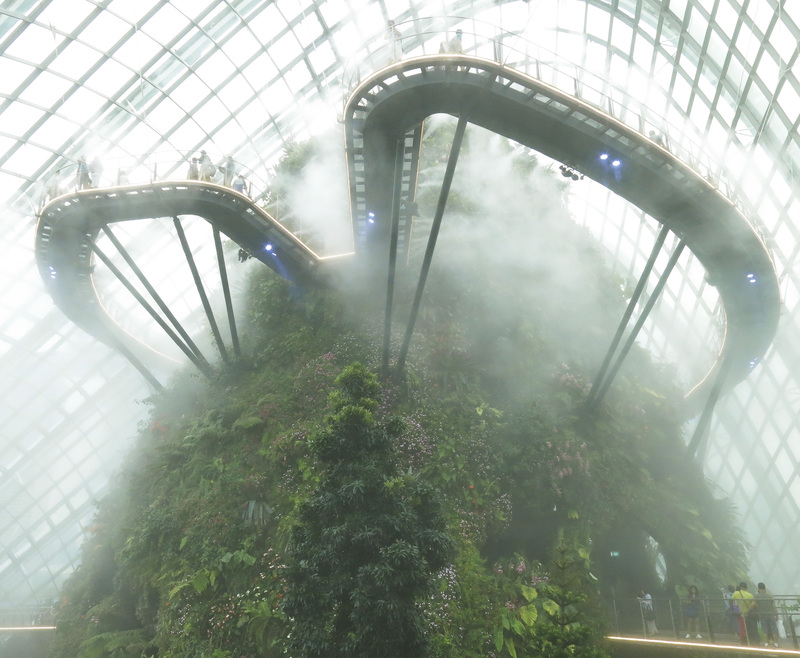 Singapore – similar to Dubai – tries to be a city of superlatives and in many ways it succeeds. Posted in Travel and tagged Architecture, Art, ArtScience, ArtScienceMuseum, Asia, CBD, CentralBusinessDistrict, ChinaTown, ClarkQuay, CloudForest, Culture, FlowerDome, GardensByTheBay, Gondola, HawkerCenter, HelixBridge, Living, MarinaBay, MarinaBaySands, OrchidRoad, Science, SEA, Sentosa, SG, Siloso, SilosoBeach, Singapore, SouthEastAsia, Supertrees, Travel. Bookmark the permalink.